Bunta Bar as the name suggests is a place which has brought a twist to the Bunta, which is a regular summer essential of every Delhiite. They have an amazing selection of flavoured Indian Bunta. From the classic lemon flavour to Mango Bite and Blueberry Kala Khatta, they have it all. 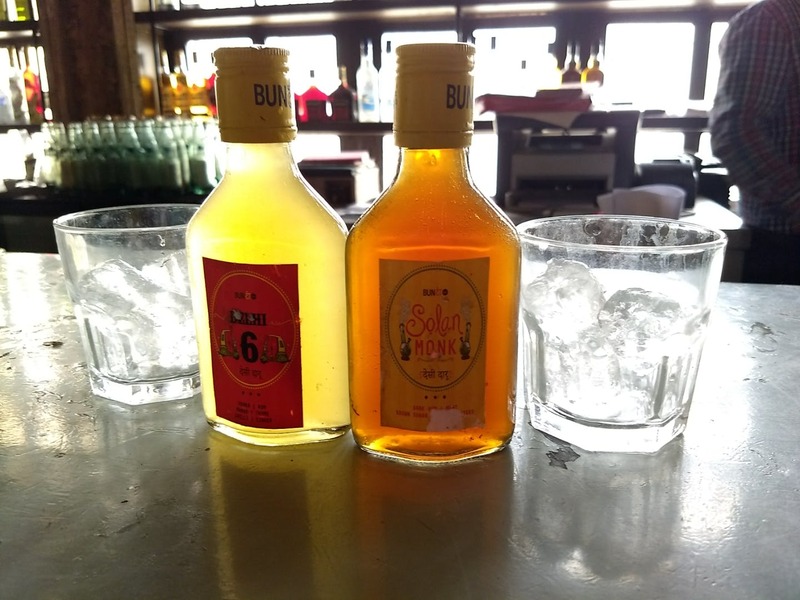 What's more interesting is their selection of quirky Pauwa cocktails which are presented and served in a very unique way. The top picks for cocktails have to be the Solan Monk made with Dark Rum, Mint, Brown Sugar, Bunta Bitters and Cola, this is one beautiful drink you wouldn't want to miss. Another one would be Nightlife in Mumbai which is made with Vodka, Blackberry, Beer and Citrus. The food they served here is great and the place has a good ambience and is well lit. Non-vegetarian lovers have to go for the Tandoori Non-Veg Platter that has mutton seekh, chicken tikka, tandoori fish and tandoori chicken. Vegetarians do not need to fret because Bunta Bar serves really good tandoori soya chaap and an amazing Kadhai Paneer Naan Pijja. The service is a tad bit slow and might test your patience but the food and drinks are worth it. There is ample of parking available in the vicinity, but if you're drinking alcohol then better take a cab.